Felt Shop unites three craftsmen who have revived the art of felting and shrinkage of lamb wool. 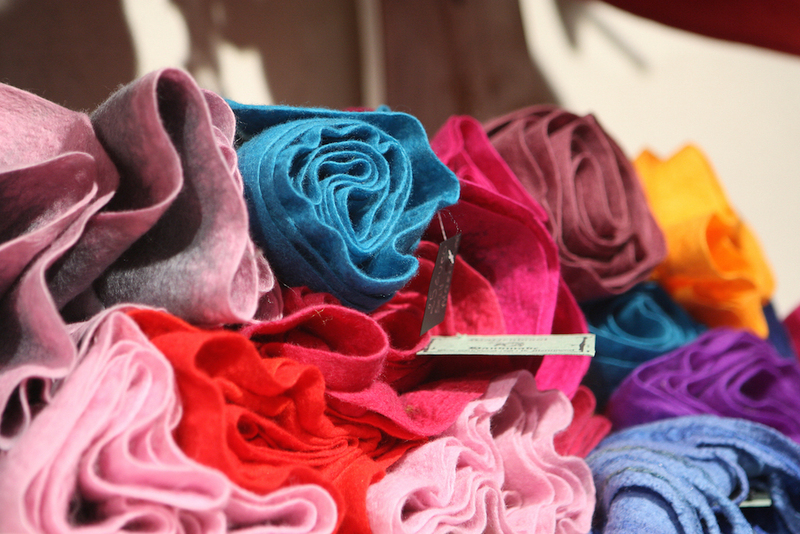 Felting is one of the oldest textile techniques in the world. Felt is a textile without the warp and weft that has all the good characteristics of a woolen material – it is elastic and easy to shape, protects us from both cold and warm. In Felt Studio different felt products are made – for example, hats, slippers, gloves, clothes, toys, interior textiles, etc. It is possible to submit special orders to Felt Shop, book workshops and get consultation from the masters of felt crafts.